Rover "Eyes" and other "Senses"
Each rover has nine "eyes." Six engineering cameras aid in rover navigation and three cameras perform science investigations. 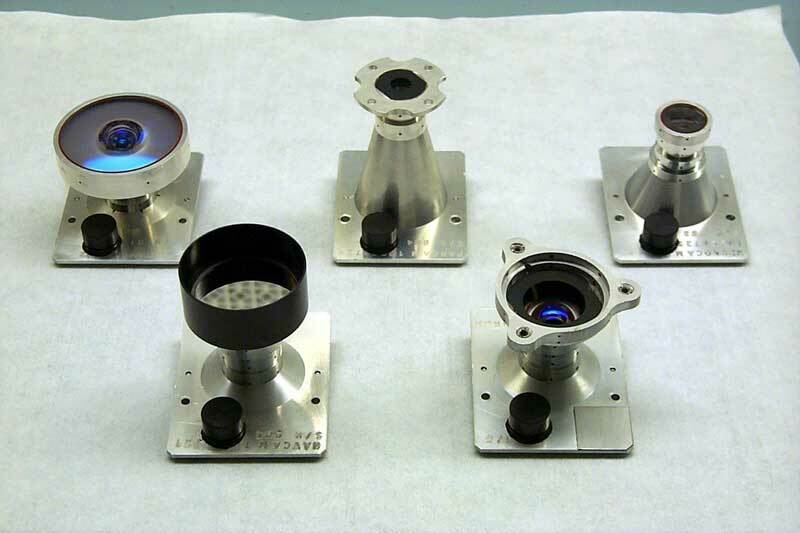 Each camera has an application-specific set of optics. Mounted on the lower portion of the front and rear of the rover, these black-and-white cameras use visible light to capture three-dimensional (3-D) imagery. This imagery safeguards against the rover getting lost or inadvertently crashing into unexpected obstacles, and works in tandem with software that allows the rover make its own safety choices and to "think on its own." The cameras each have a wide field of view of about 120 degrees. The rover uses pairs of Hazcam images to map out the shape of the terrain as far as 3 meters (10 feet) in front of it, in a "wedge" shape that is over 4 meters wide at the farthest distance. 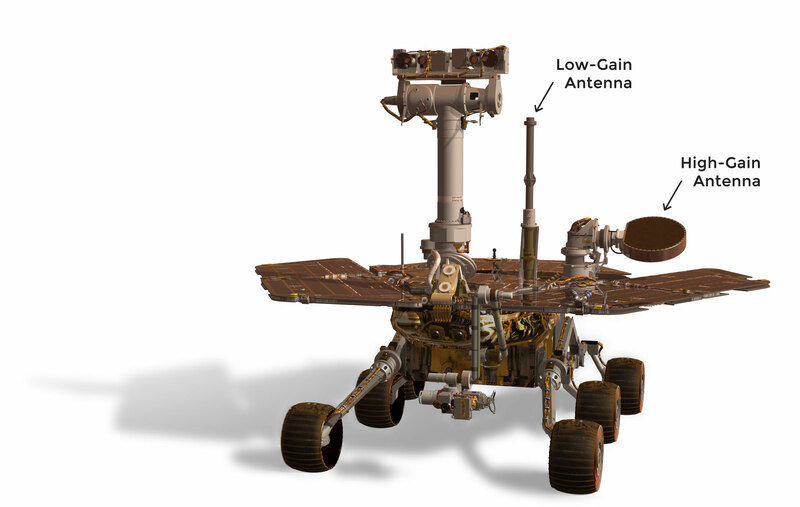 It needs to see far to either side because unlike human eyes, the Hazcam cameras cannot move independently; they are mounted directly to the rover body. Mounted on the mast (the rover "neck and head"), these black-and-white cameras use visible light to gather panoramic, three-dimensional (3D) imagery. The Navcam is a stereo pair of cameras, each with a 45-degree field of view to support ground navigation planning by scientists and engineers. They work in cooperation with the Hazcams by providing a complementary view of the terrain. For more information on how the rover uses its cameras to move on the surface of Mars, please see Rover Navigation in the Surface Operations section of the mission timeline. For more information on how the rover uses its cameras to conduct science investigations, please see Science Investigations in the Surface Operations section of the mission timeline.